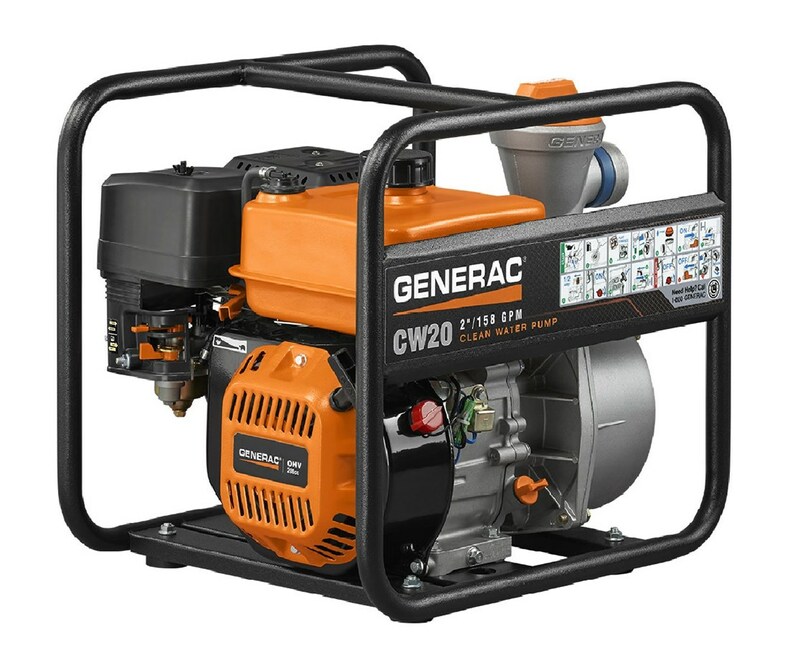 The Generac CW Series Clean Water Pump is an excellent water suction equipment that is capable of pumping a large amount of water with its high-flow capacity that is necessary for every pumping jobs. 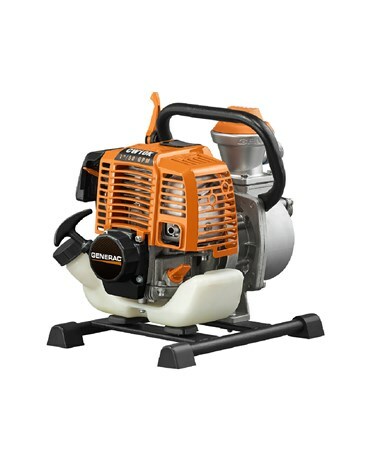 It is powered with the Generac OverHead Valve (OHV) engine using a 10W-30 / SAE30 oil for longer performance. With the Easy Prime funnel design, the Generac CW Series can start its pumping operation in one start. Its impeller and volute are made from cast iron to increase the pressure and flow of water from suction to discharge. 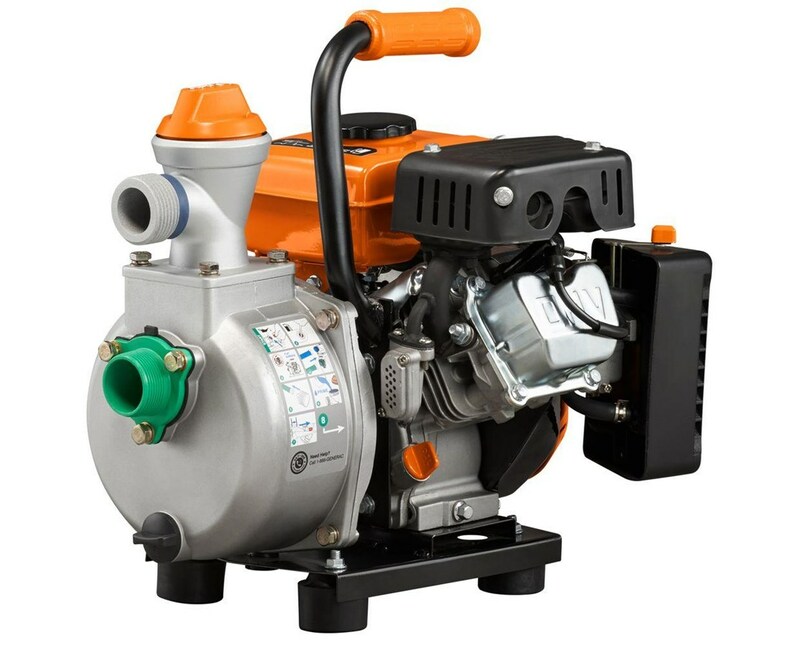 The CW Series water pump is hassle-free to use and keeping you knowledgeable with its onboard instructions with icons of key touch points making it operational at all times. The pump housing is made using a durable aluminum for reliability and protection. The suction and discharge ports are color-coded for quick and easy recognition, color blue for discharge and green for the suction port. 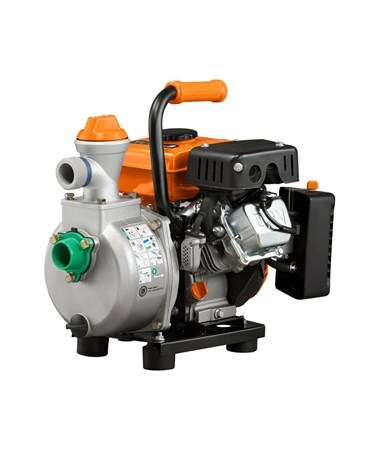 This water pump is lightweight and ready-to-use anywhere, from indoor like bathtubs, sink, and basement to outdoor locations like lawns, gardens, and small ponds. 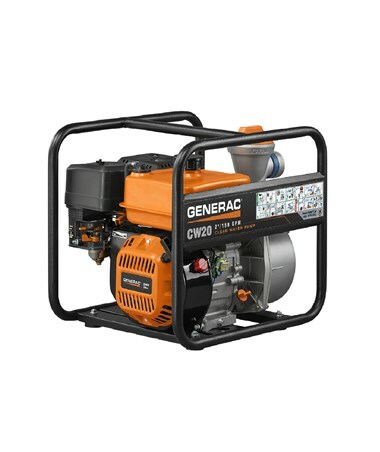 This Generac CW Series Clean Water Pump is covered with a 1-year limited warranty. 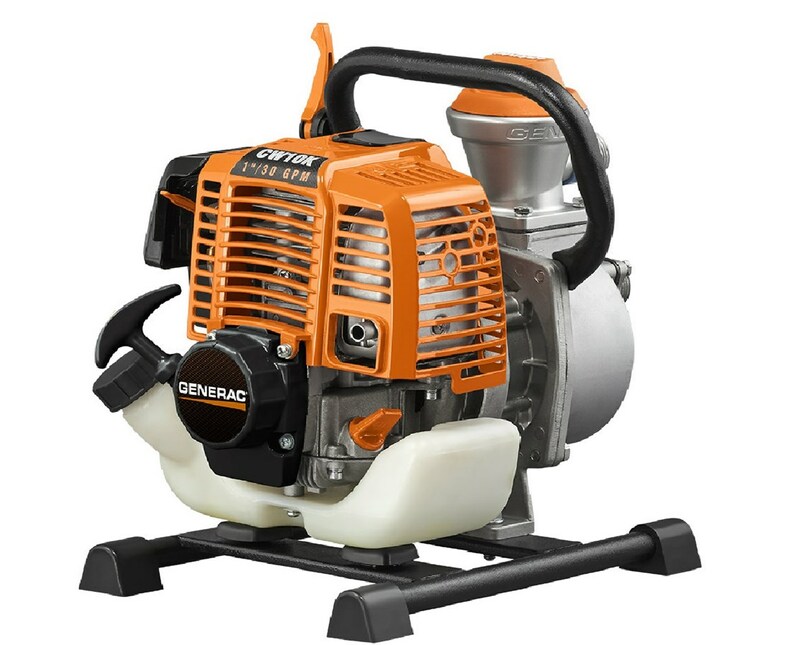 The Generac CW Series Clean Water Pump comes in 3 packages with various options to choose from, such as engine displacement, fuel capacity, runtime, and the suction port. Select your preference from the drop-down menu above.